101-year-old man found in Nepal earthquake rubble. 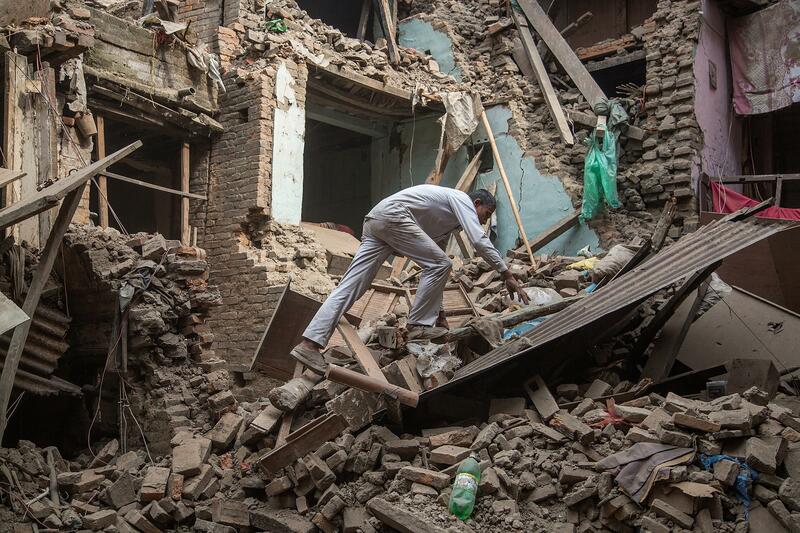 A man climbs on top of debris after buildings collapsed on April 26, 2015 in Bhaktapur, Nepal. The devastating earthquake in Nepal has taken thousands of lives so far. Now, a week after the 7.8 magnitude quake, the outlook for finding survivors gets grimmer by the day. The Nepali government, on Saturday, effectively ruled out the possibility of finding any more survivors in Kathmandu and has faced criticism for its handling of the relief effort. On Sunday, however, local authorities had some uplifting news to report when they announced that a 101-year-old man was pulled from the rubble an astonishing seven days after the earthquake rattled the country.